How do you get a seasoned sales team energized for a global lipstick launch? A. Treat them to a batch of custom cookies, iced in made-to-match lip color shades. 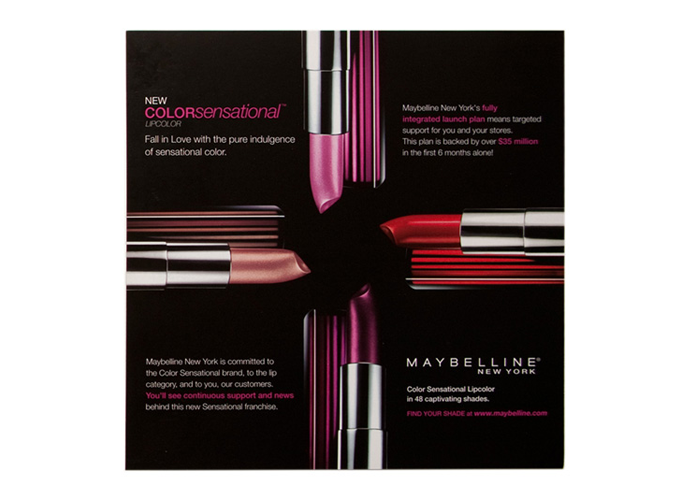 Maybelline hired the Stark Design team (of which I was a part) for fresh promotional ideas. While we presented several creative possibilities, we were pleased when the client opted to indulge our sweet-tooth fantasies on this one.